Khloe Kardashian sure knows how to celebrate in a big way, especially when it came to her husband Lamar Odom and his teammates taking home the 2010 NBA Championship. 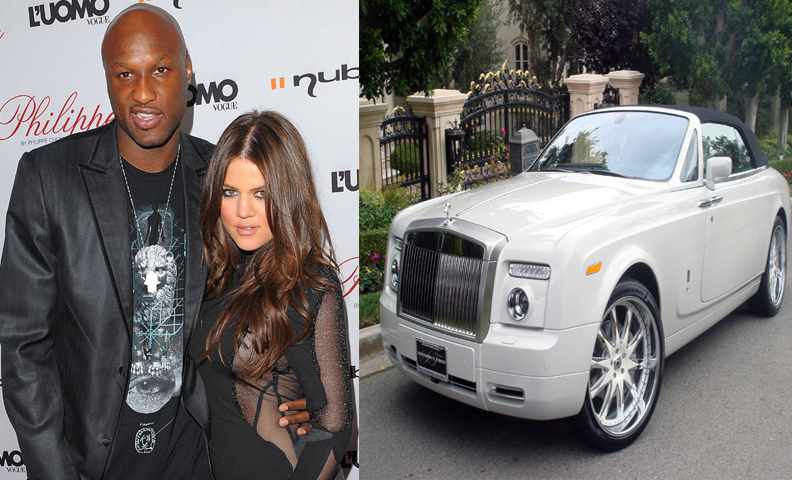 Khloe decided to buy Lamar a $400,000 white-on-white Rolls-Royce Drophead Phantom as a celebration present. Nice, huh? The couple and Lamar’s kids were spotted around town in the Drophead on Father’s Day. Previous post: You’re Cut Off!